Welcome to Shirlington! A quaint little area of Arlington, Virginia. The Village at Shirlington is a place you can eat indoors or dine outdoors, walk the lovely little streets, shop at a boutique, and have a cup of coffee. You can catch a movie at the movie theater that shows second run films. 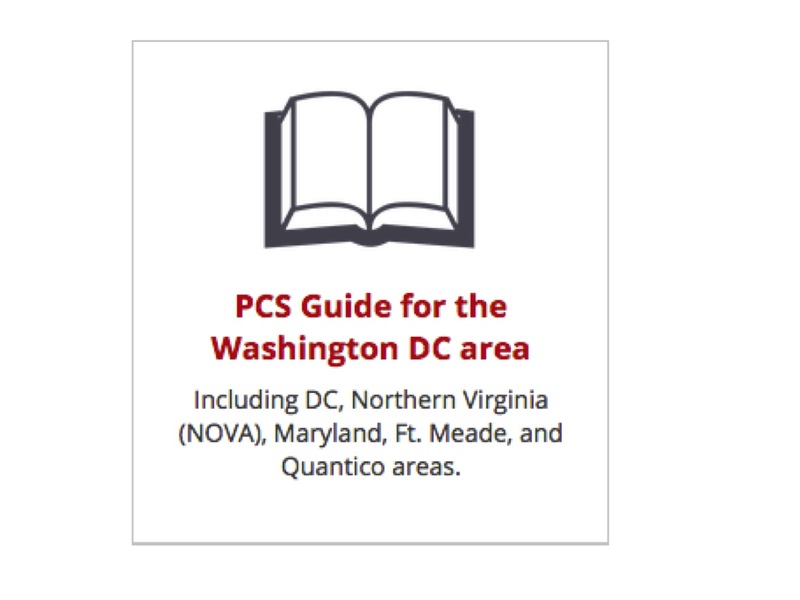 Shop at the grocery store, fill a prescription at the drug store, or borrow a book from the Shirlington Branch Library. If you choose to live in Shirlington you can walk to all of these amenities. 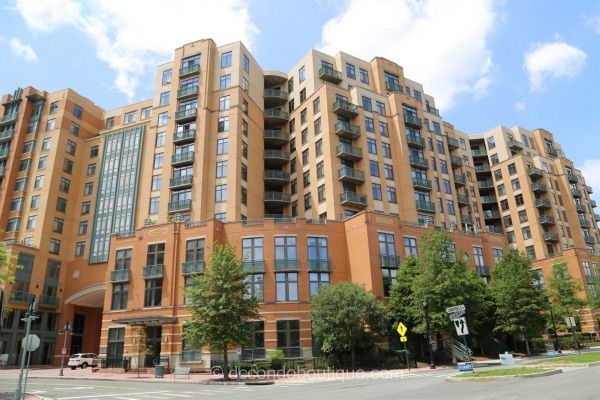 There are ample condos and townhouses to choose from for housing in Shirlington. This would be an ideal place for someone who is single, married without children, or a geographical bachelor to live. There is even a dog park. My aunt and uncle lived in Shirlington for the last 5 years of their working life in DC before they retired to Florida. We stayed with them twice and had the opportunity to walk the condo and housing area and visit their community pool and tennis courts. We walked a quick 3 minute walk from their condo over to Campbell Street where we ate dinner outdoors and treated the kids to ice cream afterwards. We absolutely loved it. Mike and I celebrated our 15th wedding anniversary in Shirlington. 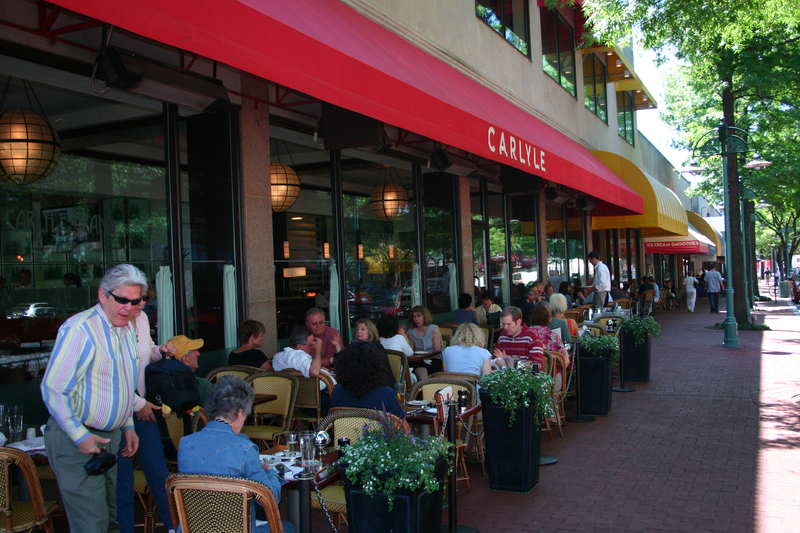 We dined outside at the Carlyle Grand Café. We strolled down the street to get a coffee and chocolate at Caribou Coffee, sat outside on one of the benches and just relaxed. It was a lovely evening out. I do want to mention while Shirlington may be a good choice for some families with children, I personally wouldn’t want to live there with children. The schools are South Arlington schools which are not highly rated. It would be a challenge for a parent with children to not have a driveway or maybe even a parking place that is right next to your home. I see too many logistical challenges for a family with children. Read more about living in North vs South Arlington.